DualShockers talked to nWay Senior Product Manager Jesse Cherry about Power Rangers: Battle for the Grid's development, story, and cross-play. 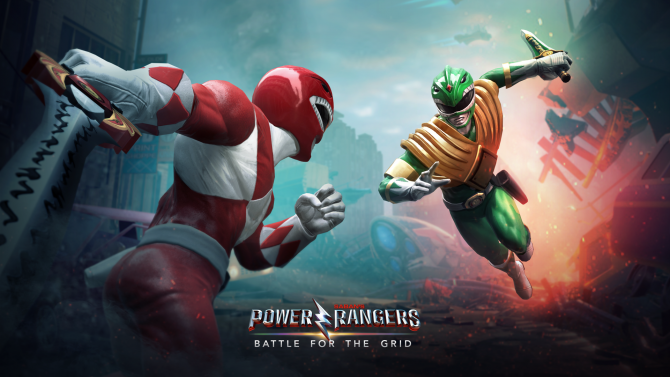 While Power Rangers games have never found solid footing on modern consoles, nWay, Hasbro, and Lionsgate are looking to change that sentiment with Power Rangers: Battle for the Grid. 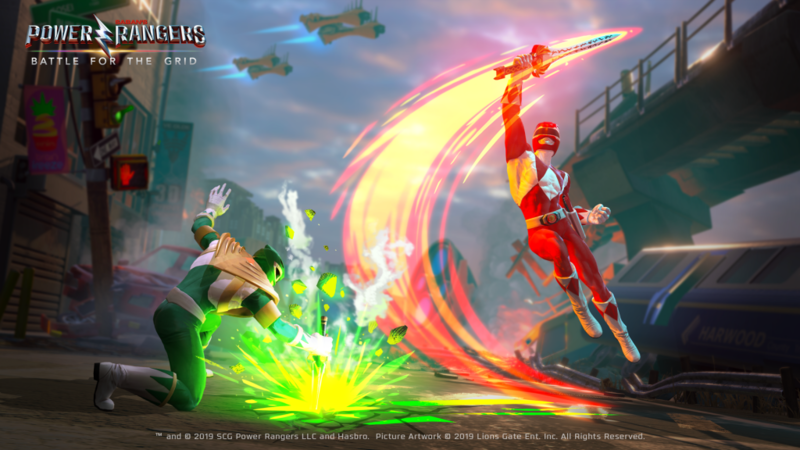 Having worked with the franchise before on Power Rangers: Legacy Wars for iOS and Android, nWay is looking to transition their love of the brand to a fighting game for PC, PS4, Xbox One, and Nintendo Switch that’s accessible and features both cross-play and cross-progression. 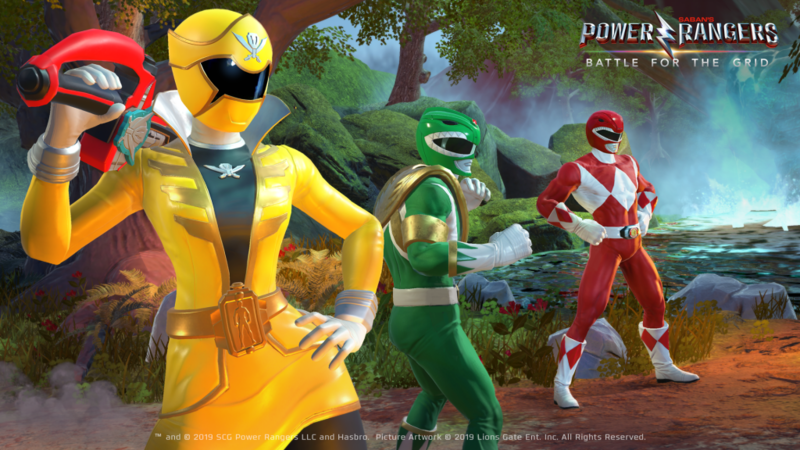 Shortly after the game’s announcement, I sat down with nWay Senior Product Manager Jesse Cherry to talk about Power Rangers: Battle for the Grid. During our discussion, Jesse explained why Power Rangers: Battle for the Grid isn’t a simple mobile port, how console development differs from mobile development, cross-play, and much more. Tomas: nWay previously developed Power Ranger: Legacy Wars for mobile devices. What inspired you guys to take the leap and release a game on consoles? Jesse Cherry: What inspired us was our history of everyone in the studio growing up playing fighting games. Whether it came from back in the days in the arcade, we have some old-timers that even grew up playing Street Fighter II in the arcades, or more recent stuff like Super Smash Bros., we wanted to take fighting games and put a new spin on them, make them more synchronous in mobile. We did that with Power Rangers: Legacy Wars and now we?re chomping at the bit to bring what the fans asked for. Constantly in our mentions and comments, people were asking ?can we get a full controller, Marvel vs. Capcom style fighting game for consoles.? That?s sort of what spurred that on. T: Was Power Rangers: Battle for the Grid built from the ground up for consoles, or is it an enhanced mobile port? JC: It is made from the ground up, it is not a port. We used some of the same tech at times but this is from the ground up, full movement, and what you expect from console team-based fighters like Marvel vs. Capcom or Dragon Ball FighterZ. There are all new animations. We had to create new rigs because in the mobile game our characters didn’t have certain points of articulation that we needed for a game on consoles. So this is brand new. T: How does developing Power Rangers: Battle for the Grid as a console game differ from developing a mobile game? JC: There?s a lot of similarities more and more nowadays but for us, this game is not free-to-play, we are doing it up-front, and that?s a big change. It?s far more focused on that movement to moment gameplay. Even though that was super important to us for Legacy Wars, when you?re on a phone you always want to give the player something to do. If they?re picking that phone twenty, thirty times a day, they always need to be able to go in and do something. On consoles, you need to design the game with longer sessions in mind and you can also have them play longer sessions. It?s hard on mobile to have someone play five minutes without being interrupted, whereas on a console game you can go for thirty minutes or more. While this is sort of in the vain of other fighters in those aspects, we didn’t need to focus on the meta-game systems as much. TF: Are there any aspects of you mobile development past that you think will carry over? JC: I?d say the things we learned about matchmaking. The way we laid out how we?re doing our ranked mode, how we make the player feel like they are making progression, and that stuff. We took elements of just knowing how to make players feel good as they are playing. TF: How long has nway been working on the game? JC: That I?m not allowed to say. Luckily, a lot of the research that we did for Legacy Wars sort of comes over here, so I would say we’ve been able to do it in a far faster than regular sort of cycle just because of how much we learned from Power Rangers: Legacy Wars. We had built out a bunch of systems we were sort of able to adapt and add on to in terms of just pure engine. We make the game on Unity, so we?re really familiar with it now which makes things a lot easier when making new projects. TF: Does a faster paced development period result in crunch? JC: At nWay, and I?m someone who?s aware of everything that came out about Rockstar, there have been times when we’ve been working more hours than usual. We are a smaller studio. We never work weekends or any of those aspects and we?ll be leaving the office today at 5pm. There?s some later nights at times, but we try and make people understand that they have families and need to go home and see their kids and those who don?t need to go have lives. That?s very important to us. TF: While Power Rangers: Legacy Wars pre-dated Hasbro?s acquisition of the Power Rangers IP, Power Rangers: Battle for the Grid seems to have been developed entirely under them. How has the process of working with Hasbro on this game been? JC: I would say they have a large team [to help]. There are certain Saban employees that came over and are working with them, which is great. They have even more resources to help us out. Hasbro has been really good to the brand and taking the time to see what their fans want rather than coming in with ideas. They’ve been awesome at listening, asking questions, and letting us give them information. For the most part, they’ve let us do our thing. Of course, they make sure that we get the right placement of things. Say, when we are creating models, they?ll make sure we aren’t missing anything that the fans would call out. They’ve just been really supportive, getting us references and other aspects like that when we need it. T: What can you say about the story? What has caused all these different Power Rangers to come together? JC: Yes, there will be a story mode. That?s sort of the extent I can talk about it at this time. We?ll talk more about it in the future, but you can put pieces together probably. T: What other fighting games would you say Power Rangers: Battle for the Grid draws from the most? JC: I would say Marvel vs. Capcom and more recently Dragon Ball FighterZ. You have three characters on your team that you can call in, swap, have come in to do assist moves. Power Rangers is all about being a team so we wanted to make sure we captured that aspect. Granted, it?s usually five or six on a single team, but that?ll would’ve been a little much to handle at one time. You have characters to choose three from and then you can play against your opponent. Any of those team based fighting games is what we?re going for. Games like Dragon Ball FighterZ have done great jobs of simplifying certain elements while keeping the depth and we?re looking at doing that too, making sure that there are combos that new players can pull off but there are still those complex combos that people who can put the time in can execute on. T: That?s something I’ve seen nWay put an emphasis on, that this game is very accessible. 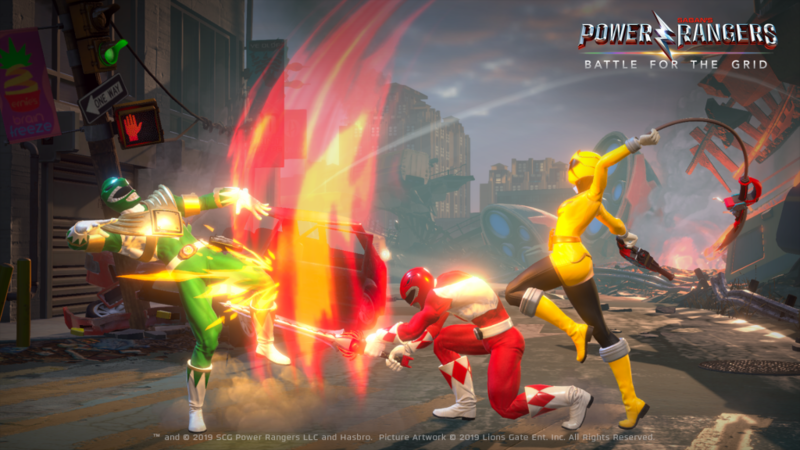 What exact steps are you taking to ensure that Power Rangers: Battle for the Grid is an accessible fighting game? 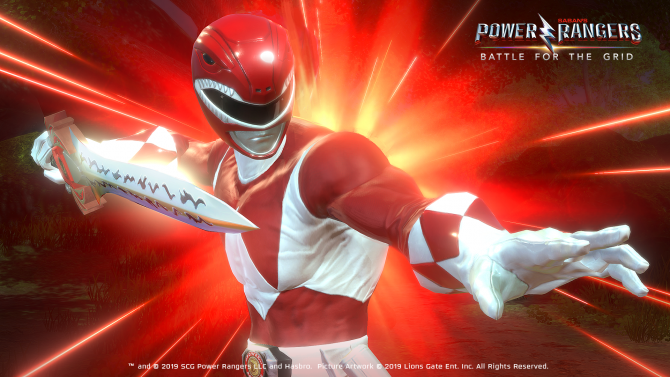 JC: One thing we noticed with Power Rangers: Legacy Wars, granted that is different than the typical mobile fighting game, a lot of people weren’t familiar with a lot of fighting games. When we incorporated Street Fighter into our mobile game, it was surprising that it was a lot of people?s first step into fighting games. We?re taking that in mind with Power Rangers: Battle for the Grid. It?s making sure that combos are easy to execute. There?s the characters that are sort of simpler to use and then the more complex characters in there. It?s really just about implementing the systems, to make sure they make sense, and making sure that button mashing is fun too. You can sit someone down and try to explain all the systems, but some people just want to button mash and see cool stuff. T: Will there be an auto-combo system like Dragon Ball FighterZ? We?re working on something similar to that. We?ll talk more in depth about our combat system as we get closer to launch. T: How far into the Power Rangers lore does this game go? What series can we expect fighters from? JC: In terms of what we want to do for Power Rangers fans, similar to what we’ve done in our previous projects, we are grabbing from different eras of Power Rangers. I would say a big, important part for us is to make sure that people that left the brand or stopped watching the show at different times will have elements in Power Rangers: Battle for the Grid that will bring them back. Then, we can introduce them to new, interesting stuff. There?s so many seasons to go to and there?s Drakkon in there. For so many Might Morphin Power Rangers fans, they might not know who Drakkon is but they can tell that it?s Tommy-related and we can introduce them to everything else. Mighty Morphin Power Rangers was such a big season, so hopefully we can bring those people back in and then show them some characters from other seasons that they might not know. T: How did you pick and choose which eras/shows of Power Rangers to represent? JC: The way we picked our roster, with our previous game Legacy Wars we learned a lot about what characters fans gravitated towards. We also wanted to surprise them in a few ways. T: Will voice actors from those respective shows be returning to portray their characters? JC: I?ll just have to wait to talk about more story-related stuff. I can?t go into whether that is or isn?t the case until a later date. T: There weren’t any Zords in that reveal trailer? Are they in the game? JC: Again, that?s something that as we reveal more gameplay we?ll talk more about specific details as it goes on. For now, it?s just us talking about the 3v3 Rangers vs. Rangers and Villains. T: Does nWay see eSports potential with Power Rangers: Battle for the Grid? JC: Esports is always a complicated thing. As a studio, of course. There?s always that potential, but we want the audience to see if they want that. It is there. We’ve worked on it and put it on Twitter and worked with Justin Wong. He?s given us feedback and helped us create a high-caliber game, but we?ll just have to wait and see. Would I love to? We’ve actually done a lot of esports stuff with Power Rangers: Legacy Wars and I would love to keep doing that with this new game but we?ll have to see how that goes. If the want is there we?ll definitely dive right into that. T: Why did nWay make the decision to include cross-play and cross-progression between the PC, Xbox One, and Nintendo Switch versions of Power Rangers: Battle for the Grid? JC: So, we have that technology, it?s actually something that we had built out. Here?s something that was helping us that we could take over to the console games. The more people you have to play with each other, the better matchmaking can be. Also some people might have a Switch and their friend has an Xbox, now they can play with each other. Of course, it takes a team of server engineers to make this work but luckily we had that. It was a no brainer to put it in because it?s just a great experience if you just have more people to play with. T: Would you like to spread Power Rangers: Battle for the Grid?s cross-play to PS4 now that Sony?s is taking steps to implement it? JC: Of course. We?d love every player to play with each other. The more the merrier for sure. T: When you have, say, several Red Rangers, how do you visually differentiate them during gameplay? JC: That is a interesting thing with our game, and we?ll talk more about that. We?re going to make sure players can tell which character they are. That?s all I?ll say about that. It won?t just be a guessing game the entire time. T: While the game was leaked earlier than intended, what has the response to the game been like so far? The response has been good. There are a lot of Power Rangers fans excited. A lot fans want to see more, and I totally understand that. What we can say is that we will be showing more and hopefully we get everyone excited. For those who aren’t excited yet, hopefully with additional trailers, gameplay, and more information they will be. We?re definitely happy with what we are making and I can?t wait to show more. I would just love to talk and blab about every element…it?s been good. What?s awesome is that I’ve been on Twitter just clarifying things with people, talking with them, and everyone has been so nice. The moment I just go ?this is exactly what that is? they are like ?Oh! Thank you for reaching out.? It?s been one of the best social media experiences I’ve had. T: Your title was announced the same day Mortal Kombat 11 was unveiled and will be releasing in the same month. 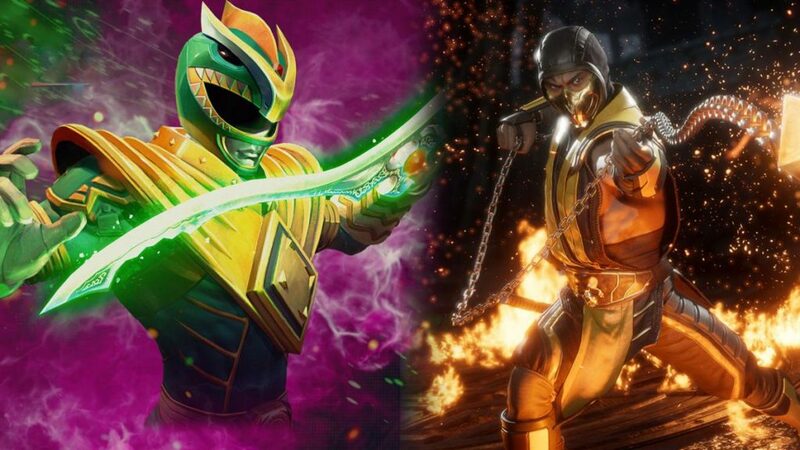 Where do you see Power Rangers: Battle for the Grid positioned in the fighting game market when compared to Mortal Kombat 11? JC: [Power Rangers: Battle for the Grid] is a team-based fighting game. You?re going to get something that I think is a little different and new. Hats off to Ed Boon and that team over there, they’ve been doing it for so long and they keep coming out, they rebooted the franchise with Mortal Kombat 9. One, I would say that our game is $19.99, which is a really nice price point if you don?t have a lot of spare income. On top of that, it?s a team-based fighter that?s meant to be a lot of fun. The all ages aspect is definitely part of that too. I?d definitely say its different than what you’ve come to expect from Mortal Kombat. If you want to see Tommy Oliver duking it out with the Red Ranger, Power Rangers: Battle for the Grid is the only place you can do that. T: What modes will be in the game at launch that you can share? T: How does nWay plan on supporting the game after it comes out? JC: We are going to support the game with additional characters and other aspects like that. In terms of features and elements we want to see what the audience wants. We have ideas in mind of additional things we would like to continue to do, but really it comes down to how people are playing the game and what shapes it. We have design specs ready to go, but it?s really going to come down to reception and what we hear from the community. T: Is there anything else not in the initial announcement that you?d like DualShockers? 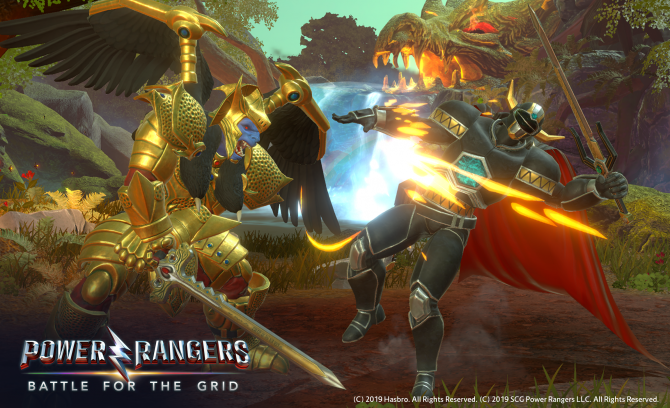 readers to know about Power Rangers: Battle for the Grid? JC: We’ve already talked about it, but the thing I want to say the most is that this is not a port. There will be things that look similar because we?re making Power Rangers: Legacy Wars. In our mobile game, we are very true to Power Rangers, we are taking direct clips from the show, and turning them into moves. We?ll be doing that here too, just at a grander, more extreme scale. Also, you can play as both heroes and villains. For those who don?t know Drakkon is a villain. You?ll be able to create your own unique team and pit them up against each other. That?s it for now, but I can?t wait to show a full gameplay trailer and I can?t wait to see the reactions. 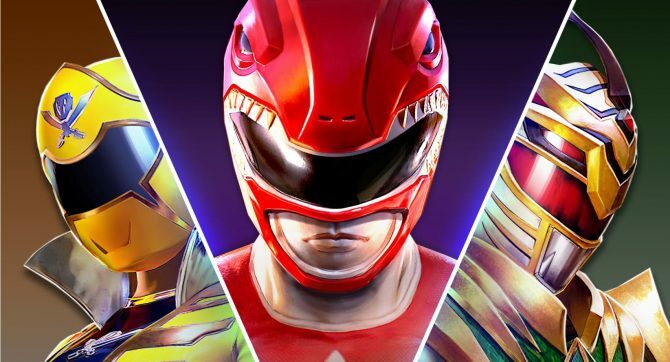 Power Rangers: Battle for the Grid is releasing on PS4, Xbox One, and Nintendo Switch in April before coming to PC later in 2019. The game can currently be pre-ordered on its official website, allowing players to net themselves an exclusive Green Ranger V2 skin. 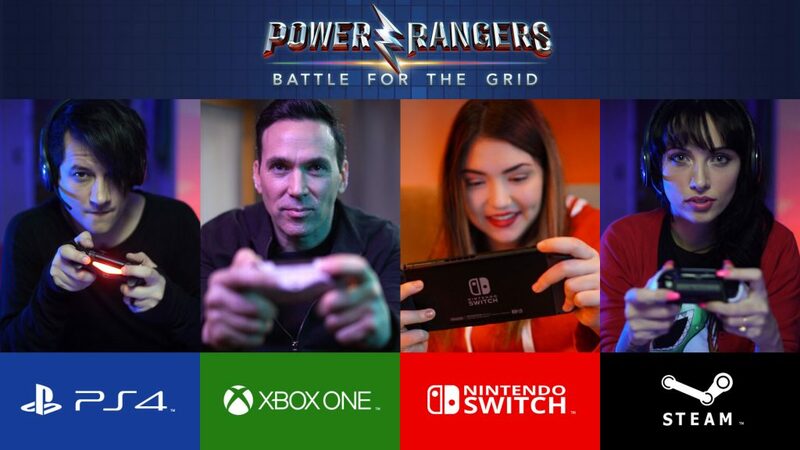 Power Rangers: Battle for the Grid for PC, PS4, Xbox One, and Nintendo Switch will feature a story mode. Here's what nWay could say about it.